Whether it’s time for a quick bite during your break at work, or maybe a long, sit-down event with a group of good friends, finding the best spots to eat lunch is essential. You want delicious food and a lively atmosphere, right? In Oklahoma, we have an abundance of places that will provide you the elements you’re looking for. Here are the 10 best lunch spots in the state. Hammett House has different specials every day. It’s been serving the Claremore area since 1969. The food isn’t fancy, but it’s made in-house. Rolls are made by hand every day. Try the “Pink Stuff,” a spicy garlic dressing with onion rings for a treat. And save room for pie at least once. The servers are always friendly, too. Café 501 has a bakery and a restaurant close to the UCO campus. The lunch menu might look like any local deli, but the food is something special. Artisan-crafted breads, fresh salads and rustic stone oven pizzas make the café smell awesome. A few years ago, Café 501 opened a second location at Classen Curve. A favorite appetizer is the risotto croquettes. Pair it with their lobster bisque for a decadent lunch you won’t find anywhere else in the state. The patio is dog-friendly, complete with treats for your canine. The atmosphere is spirited, making it a nice lunch place any day of the week. The pastries at Souper Sweets are absolutely delicious, and their lunch menu doesn’t disappoint. They offer gluten-free breads, fresh fruit as a side and dessert. Highly recommended: the baked potato soup. The atmosphere is sophisticated. The food is French and served with a smile. The lunch menu feels upscale, but not so upscale that you’ll feel underdressed in casual business attire. Just Wafflin’ might sound like it’s just for breakfast, but the chicken and waffles makes a great lunch dish. Their lunch menu also includes hamburgers and chicken sandwiches. There aren’t many places in Oklahoma to find Peruvian food, but you can find authentic dishes from the South American country here. 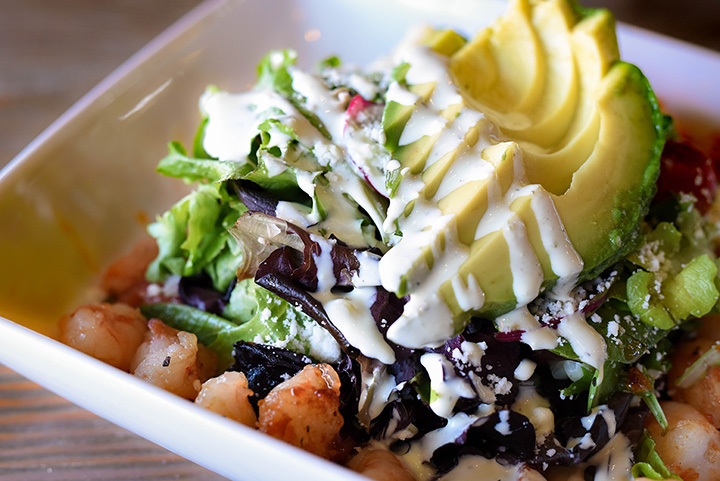 If you aren’t ready for a new taste, Mamaveca’s also serves up some good Mexican dishes. Urban Bru has a seasonal menu with awesome soups and salads. In 2015, it was voted best coffee in Oklahoma, but the food is pretty good too. It’s an Oklahoma Certified Healthy Restaurant for five years running. The atmosphere is relaxing, so take your time over lunch. Two Frogs Grill is casual and fun. One room has guitars lining the walls and there’s photos of rock stars everywhere. You probably won’t find live music during lunch hour, but you never know who may stop by. The lunch crowd is a little quieter than the evening bunch. It’s a nice spot to enjoy a good meal and recharge. Guthrie has some great places to eat, but the atmosphere at Stables Café is one of my favorites. The fact that they have a great selection of craft beers also wins people over. The burgers are wonderful, and the décor is perfect.